In 1946 before people had freezers in their houses, the building which is now Jackie’s Restaurant was constructed as a meat locker. It was built by Edwin Osborn and his son Charles E. Osborn. The driveway use to circle around the back of the building. This is where your meat was dropped off. Inside there were two sets of lockers that were stacked seven tiers high. There were 140 lockers total. They revolved around on separate oval pulleys. Your meat was brought inside and placed in the lockers. When you were ready to come pick it up, you entered through the front door, where you pushed a button by the desk until the pulley brought your locker around. To this day if you look in Jackie’s kitchen you can see the patched hump in the floor where the pulley system used to run. The meat locker was closed down in 1971. At this time most people had freezers in their homes. In 1972 the building was leased to an antique dealer by the name of John Palmatier. Antiques were sold there until 1979. The building remained vacant for almost 10 years, from 1979 until 1988. In 1988 Tim Seeley purchased the building and reopened it as “Tim’s Bakery”. Although the bakery was a success, it proved to be more work than Tim and his wife Cindy could keep up with, especially after the arrival of their fourth boy. Tim closed the bakery in 1991. 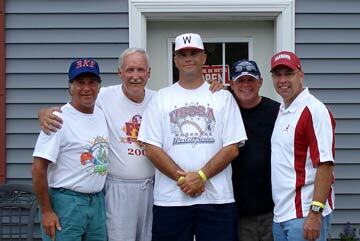 July 21, 1992 Jackie and Scott Folts purchased the building from Tim. 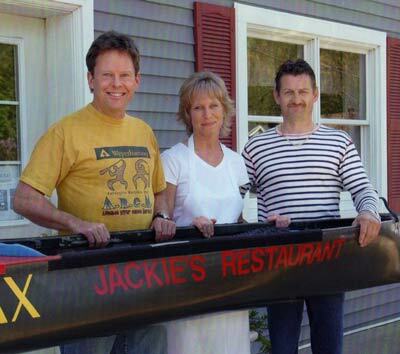 With lots of help from family and friends, Jackie’s Restaurant was opened for business on August 28 1992. It soon became a family business. 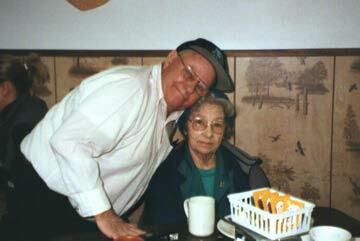 Both of their families continued to work and help out to get the business going. Without the support of all of them especially their parents and grandparents, (Kendall and Bernice Marlette, Bob and Sandy Chase and Ron and Marilynn Folts) the foundation would not have been so strong. Scott and Jackie went on to live separate lives and Jackie continued to run the growing business. Throughout the years various family members have worked there. The longest term ones were Jackie’s sister’s; Brenda Alton, Sue Sisson and Vicki Winchester. They helped to make the place what it is today. 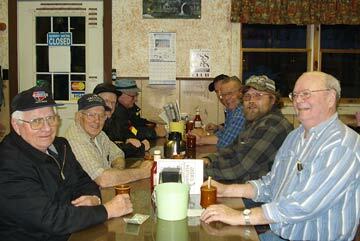 Over the years the many people who have worked here and the customers too have become an extension of our family. 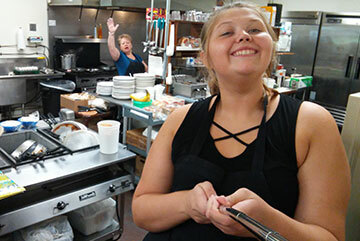 Although the structure of the business and employees has remained pretty much the same, some family and employees have come and evolved due to the ever changing lives and more members being added. 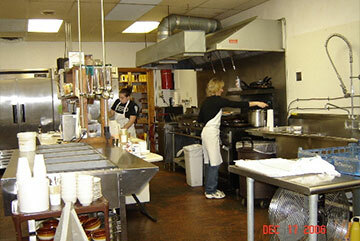 The on-going support from tons of people over the years is what helps to keep the business thriving today. On May 31, 1998. A tornado came through creating tremendous damage to the area. “Jackie’s Restaurant remained” untouched and thanks to NYSEG still had power. They were able to serve the work crews until midnight. For several days many people went without power. Extending their hours, Jackie’s remained open every day using a generator to function when power had to be temporarily turned off. Ironically, some of the neighbors stored their frozen food in Jackie’s freezer. It brought back memories of earlier times. 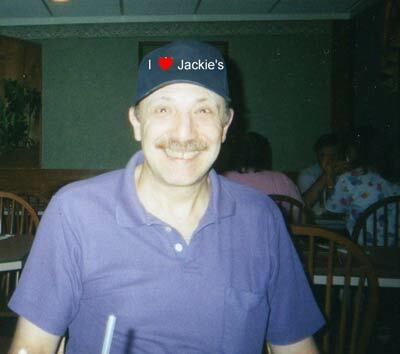 Jackie’s Restaurant is where the Milford Rotary Club, meets every Tuesday night.